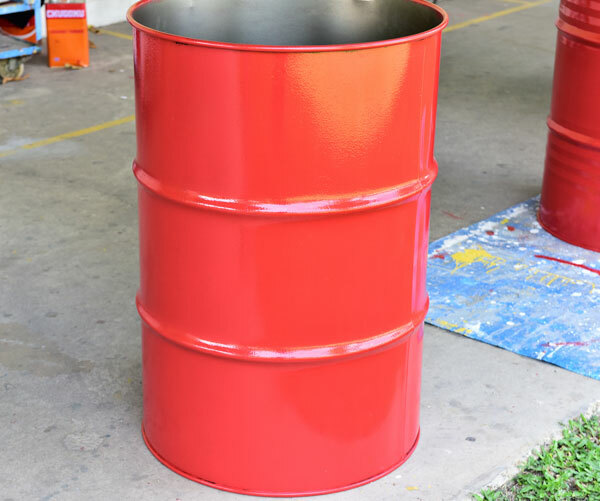 Factories, processing plants, laboratories, warehouses, and other facilities often contain barrels, drums, vats, canisters, tanks, tubs, and various storage vessels that emit unpleasant fumes, vapors, and odors. Sometimes, these containers are kept under controlled conditions, but when they are not, the emissions released can be irritating and potentially harmful. Based on more than 35 years of experience, Vent-A-Fume has developed several different systems that capture these fumes at their source, and then expel them into your existing ductwork or to the outside. All of our products feature a 1-year warranty. Originally designed to vent fumes from ceramic kilns, our Vent-A-Kiln system is easily adapted for drums, vats, and other vessels where an overhead fume extraction system makes sense. A smaller-scale version of our overhead ventilation system, the table-mounted fume extractor can be used at tables, workbenches, on shelving, or in other areas with tight spacing or small vessels. Also designed for bench-top applications, our Vent-A-Fume In-place Fume Extractor offers flexibility in the placement of the exhaust hose. We can adapt our current products and technology to meet your requirements. This can include using hazardous-duty motors, providing corrosion-resistant construction, or making other modifications to materials, sizes, mounting options, etc.